While the Philadelphia Water Department designed the Green City, Clean Waters program, its scope has grown far beyond PWD since being approved by state and federal environmental agencies in 2011. 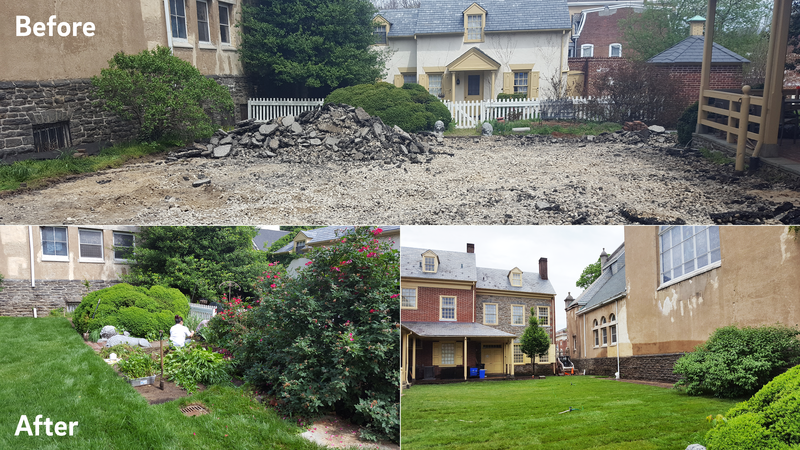 As we've seen over the last six years, to really transform Philadelphia's landscape on a scale that's big enough to have a real impact on our rivers, it takes more than just Water Department crews and contractors building rain gardens. In fact, it takes a whole city working together, not to mention supportive partners on the state and federal level. 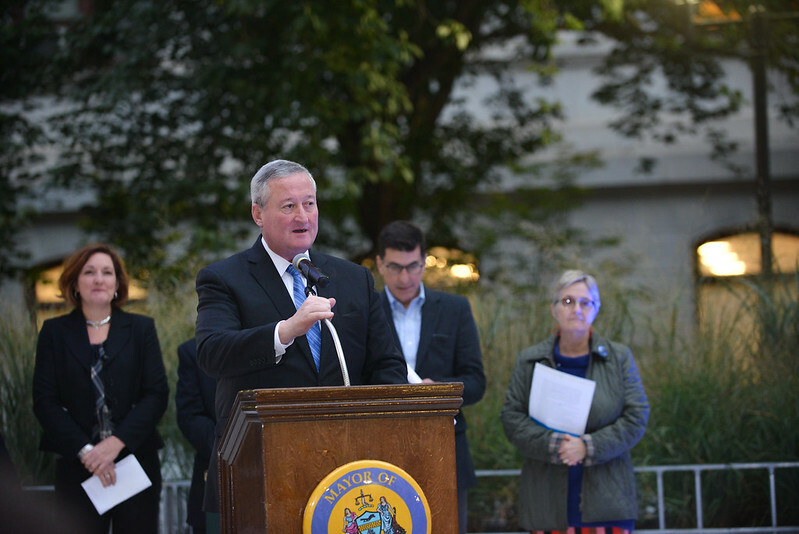 That's why PWD, Mayor Kenney and our partners across City government put the spotlight on community groups, nonprofits, businesses, organizations and residents when we celebrated the 1,000th Greened Acre created under Green City, Clean Waters. The diverse group of people and organizations at the City Hall 1,000 (Green) Thank Yous celebration was a real tribute to the dedicated coalition that's working to protect Philadelphia's water. Much more than a number, the 1,000 Greened Acres you helped us build represent a true transformation of our urban landscape, one that's having a positive impact on our waterways. Today, green tools can keep nearly 28 million gallons of polluted runoff out of our rivers during just one inch of rain--an amount that can add up to a billion gallons of stormwater and sewer overflows not going into our waterways annually. Without residents attending community meetings about projects or civic groups caring for local green tools through the Soak It Up adoption program, we would not be where we are today. It would take up your whole day to actually list all 1,000 of the “thank yous” we owe, but you get the idea—it takes a whole city working together to achieve the big vision that is Green City, Clean Waters. We still have nearly two decades to go before we reach our final goal—9,564 Greened Acres by 2036—and PWD looks forward to growing and strengthening the partnerships it will take to achieve rivers and creeks that are cleaner than they've been in generations. Extra: How do Green Tools Work?